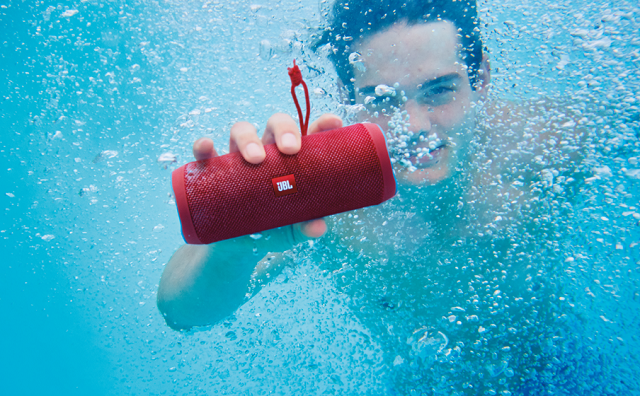 The first thing you’ll notice when you pull the JBL Flip 4 out of the box is the unique design. There are many great Bluetooth speakers on the market but few look as slick as the Flip 4, and you can choose from six colors. 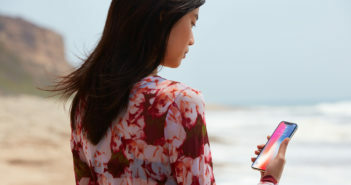 But when you turn it on and hook it to your phone, you’ll be immediately impressed by the big sound that this small package can produce. The sound fills a room and gives you the base and richness you would expect from a home speaker system. But the Flip 4 isn’t designed to just sit on your shelf. The tubular design with the handy strap makes it easy to bring the Flip 4 anywhere, and you don’t have to worry about rain or dropping it water given the waterproof design. It easily fits in your backpack water bottle slots. You also get 12 hours of playtime so you can enjoy great music and party all day. It’s no surprise that the Flip 4 was named the winner of the CES Innovation Award for 2017. We live in an era where we often listen to music by ourselves with our headphones. Now with cool speakers like the Flip 4 it’s so much easier to enjoy music with others and create an instant party. If you’re looking for a great gift idea this holiday season, the Flip 4 offers a great option for everyone on your gift list!